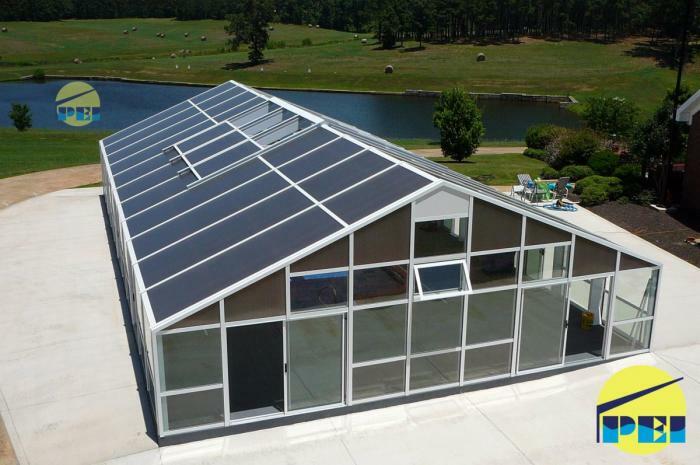 Conservatory style swim-spa and fitness room with double transom, energy efficient high performance low emissivity dual pane glass and 25mm multiwall polycarbonate glazing. Custom beige color, attached walkway and cultured stone faced knee wall blends architecurally with the house. 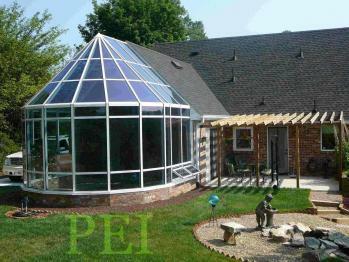 28' x 40' Gable style Swimming Pool Enclosure by Pool Enclosures, Inc. 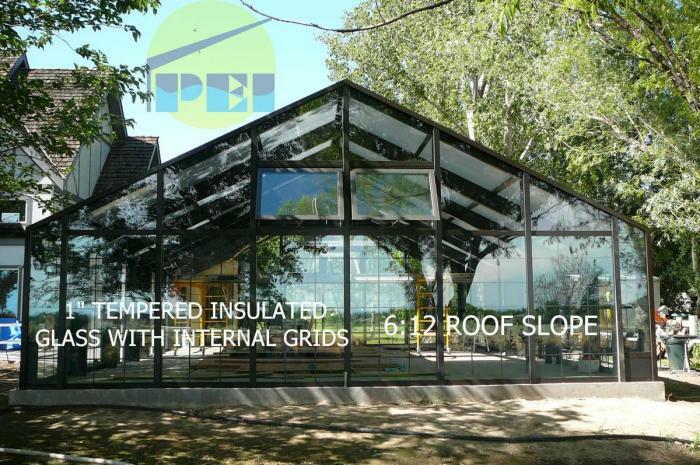 Features include: dark bronze baked enamel painted finish, internal bronze window grids, motorized retracting roof panels, 25mm opal heat-guard multi-wall polycarbonate roof glazing, sliding glass doors and upper gable awning windows, the wall glass is high performance clear low-e tempered insulated. The dark bronze frame blends well with wooded settings and houses with brick, dark trim and siding as shown. The enclosure was attached at one corner of the gable end. 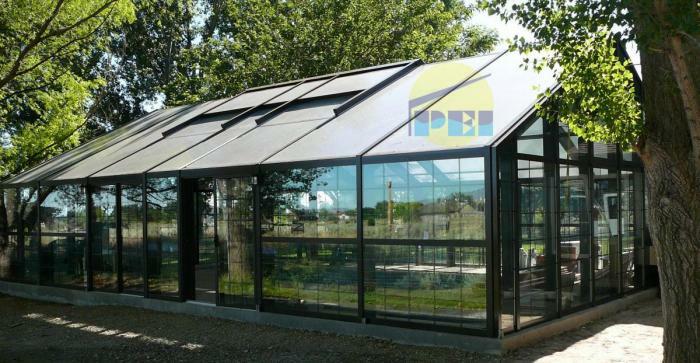 Permanent pool enclosures can be simple or intricate and can be custom-made using glass. For those with a large budget, custom-built enclosures can feature grandiose geometric ceilings, folding walls, sliding glass doors, dehumidification and heat systems - even a hot tub. 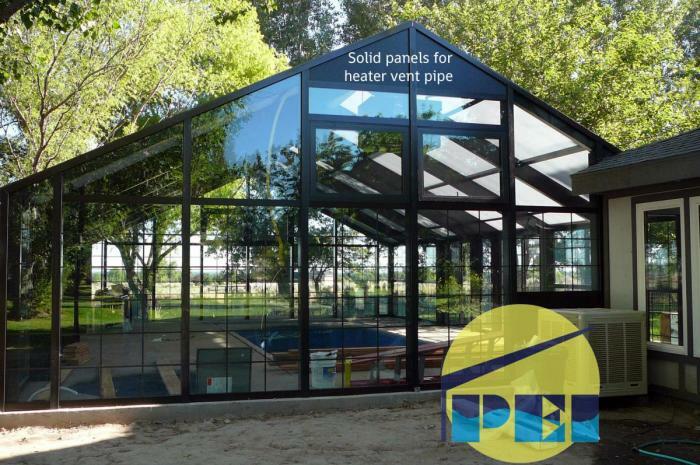 Our pool enclosures uses strong structural extruded aluminum beams, these pool enclosure kits can feature retractable roof sections and windows for extra practicality all year round. 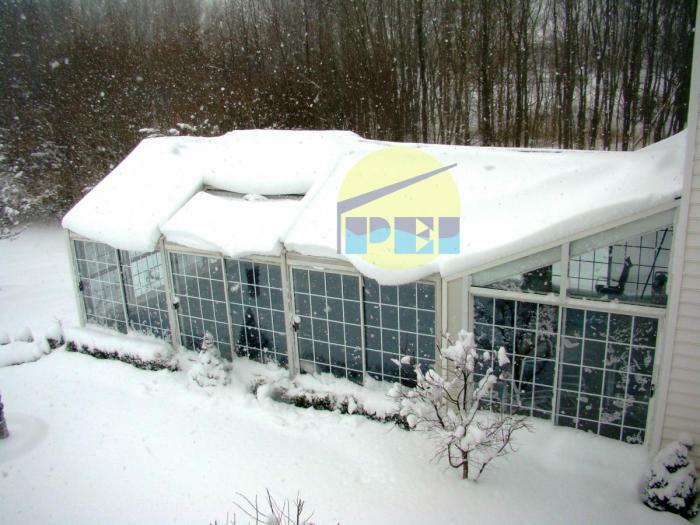 Stronger and more permanent, these types of enclosures are a great option for those looking for a structure (see below) to meet or exceed local snow and wind load codes while being aesthetically pleasing. Structures can be attached directly to the house or a vestibule (walkway) as shown. 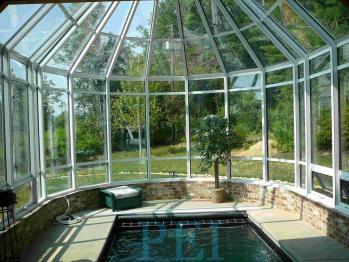 Large free-standing 37'-4" x 67'-7" swimming pool enclosure below. 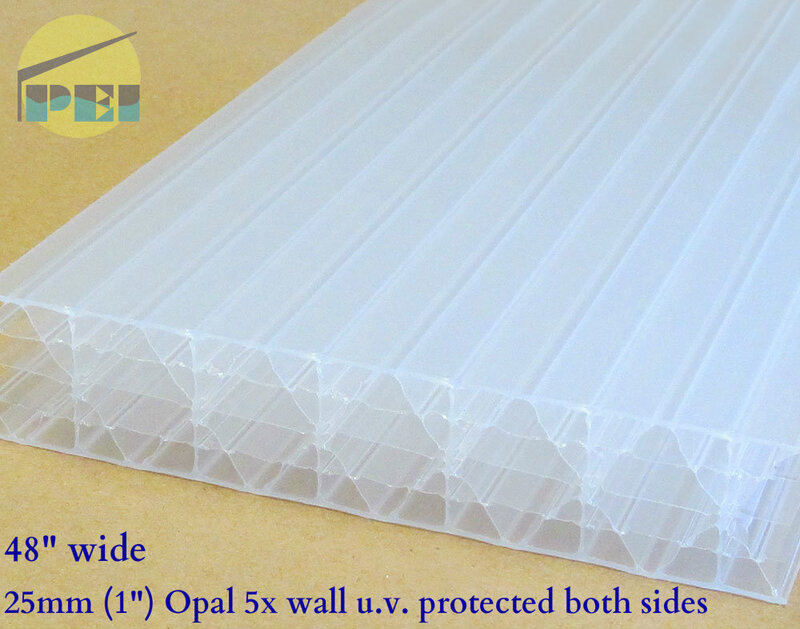 The roof material is a heat reducing 5-wall 25mm polycarbonate. 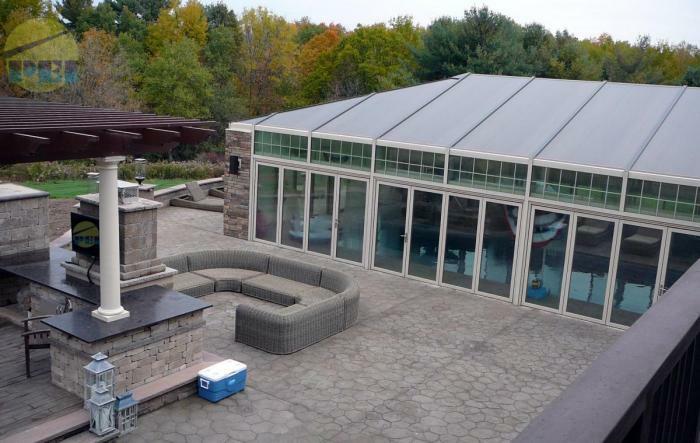 Below is a gabled shaped 25' x 50' freestanding pool enclosure, featuring motorized retracting roof panels, 25mm opal polycarbonate roof, clear low-e tempered insulated glass walls, sliding glass doors and white baked enamel frame. Swim Spa Enclosure / Conservatory below.